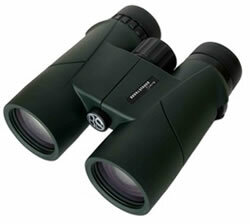 The 8x32 Sierra is probably one of the most versatile binoculars that Barr & Stroud have ever sold! This little gem is the baby of the Sierra range but still packed with performance and features that make the Sierra range stand out from the opposition. Designed for portability this lightweight compact binocular is an ideal travelling companion, small enough to carry anywhere, on board an airliner or in a hikers back pack, tough enough to take any weather you are likely or unlucky enough to encounter and still stun you with its performance. OK so the 8x42 will work better in low light but if its portability coupled with serious performance we think you need to look no further. The Sierra range from Barr & Stroud feature rugged construction combined with brilliant optics. They are waterproof to a depth 1.5m of water for three minutes, plenty of time to retrieve them if you have dropped them in a stream or puddle. This requires a high degree of mechanical quality in the construction of the binocular which is evident as soon as you pick the binocular up or use the super smooth focus control wheel. We dont expect that you will make a habit of dropping the binoculars into deep water but we do expect that you will want to use them in any weather the planet can throw at you, so you can feel assured that the Barr & Stroud Sierra can take it, again and again. This ability is further enhanced by the binoculars rubber armoured body which protects it from shocks and knocks. Fully Multi Coated optics are standard features of the Barr & Stroud Sierra range as are BaK-4 phase coated prisms. This degree of sophistication ensures that as much light as possible is transmitted through the optics which results in a super bright contrast rich images of high colour fidelity for the user even in low light conditions where less expensive optics and coatings result in a dramatic loss of performance. The Barr & Stroud Sierra 8x42 is the optimum all rounder in the range. Its 42mm objective lenses in combination with its 8x magnification makes this the model which passes the most amount of light through to the users eyes, this is important if the observer will be using the binoculars in low light conditions such as dawn and dusk when wildlife are on the move, or looking closely at a birds plumage in dense foliage where the light is restricted. 8x magnification is also relatively easy to hold steady without the need for additional support, such as a tripod, monopod or hide-clamp, in most conditions. The Sierra 8x42 are supplied with carrying case, rain guards, tethered lens caps, straps and lens cleaning cloth. The Barr & Stroud Sierra 10x42 is the optimum all rounder in the range. Its 42mm objective lenses in combination with its 10x magnification makes this the model which passes the most amount of light through to the users eyes, this is important if the observer will be using the binoculars in low light conditions such as dawn and dusk when wildlife are on the move, or looking closely at a birds plumage in dense foliage where the light is restricted. 10x magnification is also relatively easy to hold steady without the need for additional support, such as a tripod, monopod or hide-clamp, in most conditions. The Sierra 10x42 are supplied with carrying case, rain guards, tethered lens caps, straps and lens cleaning cloth. OK you want the power of the 10x42 model and the light gathering ability of the 8x42 well you will find that, almost, in the Sierra 10x50 binocular. But as ever there is a trade off and this time its extra size and weight. The extra 10mm diameter of the object lens results in a lot more glass being used and larger lens barrels to accommodate the lenses. If lightness and portability are high on your requirement list then I would look at either the 32mm or 42mm Sierras, but if you just want super bright powerful binoculars, that dont need you re-mortgage your house, look no further! The Sierra 10x50 are supplied with carrying case, rain guards, tethered lens caps, straps and lens cleaning cloth. 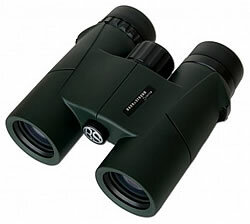 The 12x50 Sierra is the most powerful binocular in the range, if power is what you want or need this is as good as a hand held binocular at this price gets! 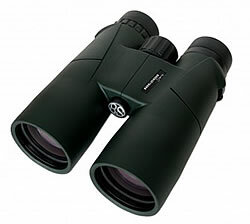 The trade off is that it will not be the best performer in low light and it will be harder to hold steady than a binocular with 10x magnification but with an apparent view at a 1000m of only 82m this is a stunningly powerful binocular. The Sierra 12x50 are supplied with carrying case, rain guards, tethered lens caps, straps and lens cleaning cloth.